Tanya Byrne has created one of the most compelling narrators in recent YA fiction here. I want to say that, obviously, I didn’t actually like Emily – but I’d be lying. Despite her crime, and even though the way she insinuated herself into Juliet’s life in order to get revenge was awful to read about, her actions were completely understandable and I started to really feel sympathetic towards her. That’s not to say they were defensible, of course – I’m not planning on nominating her for teen role model of the year or anything – but Byrne did a fantastic job of making her a really well-rounded character. The other members of the central trio, Juliet herself and love interest Sid, are also very good. Byrne has a great writing style and captures the weary, cynical voice of Emily perfectly in this novel. She paces the book really well and it’s a definite page-turner; I was desperate to find out exactly what Emily had done to Juliet. It’s also very hard-hitting, dealing with tough issues, and the ending is staggering. 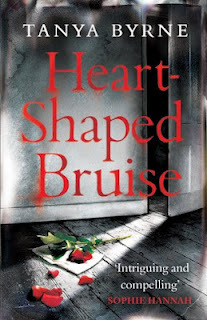 I was certainly impressed by this debut, and will definitely be looking out for Tanya Byrne’s books in the future! Check back tomorrow for an interview she was kind enough to give me, by the way.